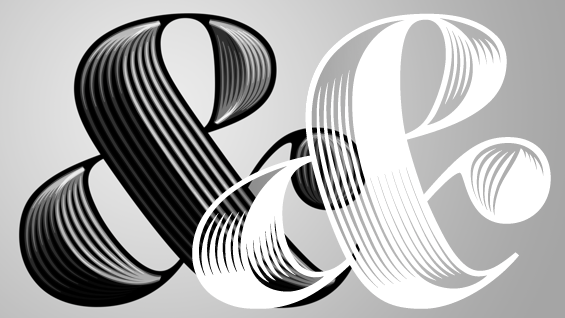 Andy Clymer, a senior designer at Hoefler & Co. and instructor in the Type@Cooper program, will share a look at the design process, the custom tools involved, and some of the unexpected challenges and discoveries found while designing Obsidian. Designers of modern type and lettering make use of custom tools to draw and manufacture their product as much as in the time of punchcutting and steelplate engraving. After the design of the Surveyor family of typefaces came to a close, an exploration was made into finding an approach where custom tools could be used to help prototype the kinds of highly intricate designs that may have been too complex to otherwise consider putting into development. This process led to the design of Obsidian, a typeface that is elaborately shaded in a style that makes reference to the same nineteenth century tradition of engraved lettering as Surveyor is rooted in. Andy Clymer received a Bachelor of Arts degree in graphic design from San Diego State University and a Master of Design degree in type design from the Type & Media postgraduate course at the Koninklijke Academie van Beeldende Kunsten (Royal Academy of Art) in The Hague, Netherlands. While in The Hague, Andy was influenced heavily by the notion that type designers have had for centuries of building one’s own tools for the job — mechanical bits and pieces, historically, and now bits and pieces of software. This carries through into his role at H&Co where he contributes both to the design of retail and custom typefaces and to the software that helps produce them. Andy also is an instructor in the 2015 Post Graduate Certificate program Type@Cooper Condensed Program. Andy Clymer appears as part of the Herb Lubalin Lecture Series of Type@Cooper. The series is sponsored by the Herb Lubalin Study Center of Design and Typography at The Cooper Union, a public graphic design archive which places emphasis on a hands-on access to a wide range of design and typography ephemera.